What factors are driving change in hiring and retention for Human Resources (HR) over the next one to three years? Michael Page spoke with discipline leaders from across Asia-Pacific, to get a sense of how HR is changing right now – and sought specific advice for those hiring HR, as well as for those seeking new career opportunities of their own. In a recent presentation to Michael Page clients, Mel Parks, Global Chief of People Operations and CHRO Global Operations and Support Functions for QBE Insurance looked at what HR would look like in future, noting that eliminating operational work and becoming more strategic and functional would be the key to HR remaining relevant and valuable. The question she posed was: “What do HR teams need to look like, to move forward?” In seeking the answers, we engaged six business leaders for HR talent recruitment across our Asia Pacific offices in Singapore, Sydney, Hong Kong and China, to focus attention on the drivers of change for HR over the next one to three years. Thanks to our Page regional HR panel: Anthony Thompson, Executive Board Director and Regional MD at Michael Page; Greg Tadman, Regional Human Resources Director, Asia Pacific; Julie Yeh, Manager, Michael Page Singapore; Adam Oldman, Manager, Michael Page Australia; Grace Lee, Associate Director, Michael Page Hong Kong; Lisa Zheng, Director, Michael Page China. What if there was a power metric that could help HR leaders uncover the perfect ‘cultural fit’ among potential job applicants? Or a model that indicated in advance where your team’s critical skills gaps were before they became an issue? 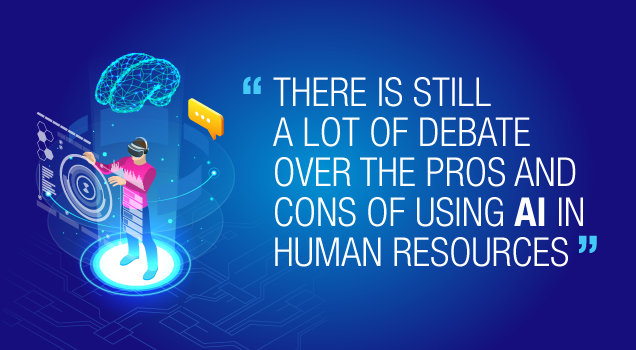 No longer exclusive to election campaign planners or front-line sports managers, the money-ball world of predictive analytics has the potential to see an HR earthquake coming – giving savvy adopters knowledge of when their talent risk spikes. “In our business, we know when we have attrition, there are predictors for that,” says Greg Tadman. “But can you mirror this for other parts of tenure, allowing HRDs to get ahead of it and deal with advance issues?” Using aggregated data ranging from desk behaviour, ‘high-risk’ language terms, absenteeism and other predictive metrics, advanced analytics could soon help provide leaders with the keys to cutting off their potential talent losses at the pass. As PwC advises, tomorrow’s companies must “protect people, not jobs”. Its message: “Nurture agility, adaptability and re-skilling.” For PageGroup’s Anthony Thompson, this means forcing educators and employers to work together. “To keep up with changes impacting our talent horizons, leading companies need to offer more micro-degrees within the frame of your job.” Implementing this at scale looms as a defining challenge for HR leadership: “Workplace learning is a driver that will move and shape our industry,” agrees Greg Tadman. Typically, blended learning sees combinations of at-desk, online and in-room learning, with gamification to incentivise the journey, and videos, blogs and audio-books reinforcing the experience, particularly through mobile technology. But who will ultimately provide the training, rigour and independence? “Simply put, if the current education providers don’t do it, then new providers will step in and take their place,” warns Thompson. You need the strength to drive transformation and change in an increasingly digital and mobile-centric environment. First came the stellar growth, then the need for talent management. Previously, China’s new waves of home-grown companies regarded HR as a support function with no revenue contribution. Yet as Lisa Zheng notes, this is changing fast: “China’s companies now take the HR function seriously, both in terms of recruitment fees and more senior jobs,” she notes. At the largest scale, new talent management and organisation development (TMOD) roles help some of China’s biggest companies conduct business diagnoses from an HR perspective: identifying system problems, and creating phased plans to remedy them. Zheng says those with an HR consultancy background prove popular for their skills in communicating with and influencing various levels of stakeholders. Scale aside, what else might China soon bring to the HR discussion? Interestingly, following central government worker protection laws, one contribution could be an environment that is now “highly protective” of the employee, and of worker rights in general. Fashion brand Vogue UK recently appointed a new editor-in-chief, whose new measures drove a 25% increase in digital engagement and a 1000% increase in revenues. The secret? Embracing diversity as a business driver. The new drive towards diversity and inclusion (D&I) saw the brand fundamentally diversify hiring and model talent, boosting readership and sales in the process, as consumers responded to the brand finally looking like the community it served. As Greg Tadman notes, such examples are numerous, and speak to the fact that D&I is now both a moral and commercial imperative: “Many companies in our midst are still very far behind on this,” he warns. “And an absolute tsunami is coming. People will demand that as a company you demonstrably are more on this topic. As much as you can get ahead of it, the better.” Aside from referencing some of PageGroup’s client initiatives such as a D&I guide for businesses, Tadman identifies these minimal steps to start immediately: first, actively address your company’s D&I short-fallings, and then clearly articulate a plan and timeline to address them. Businesses in talent-squeezed markets are challenging the rules of engagement for talent acquisition (TA) in order to maximise results. One example, IBM’s AgileTA, has systematically challenged the norms of traditional acquisition, emphasising top priority work (“not all requisitions are created equal”); transparency with hiring managers (progress is now visualised and updated); and the ability to adapt and innovate (bottlenecks are quickly tracked and fixed). AgileTA reportedly reduces cancellation rates of requisitions by 75%, and average cycle time by nearly 50%. Within APAC, talent acquisition is now increasingly visible too. Faced with tightening visa rules, Adam Oldman says Australia’s companies increasingly see the benefits of TA teams for tasks ranging from talent pooling, and market mapping, to marketing partnerships, helping to boost a company’s employee value proposition (EVP). Sadly, fulltime talent for such TA roles also remains in short supply.